UCL Centre for Co-production in Health Research: The adventure begins! 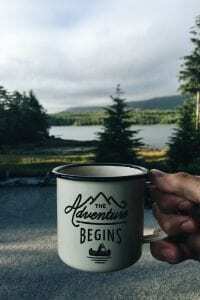 Home / 2018 / March / 12 / UCL Centre for Co-production in Health Research: The adventure begins! This is a guest post by Laura Crane, Deputy Director and Senior Lecturer at the Centre for Research in Autism and Education (CRAE), UCL Institute of Education. 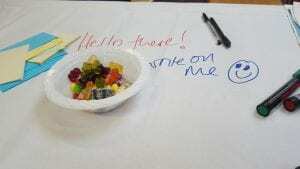 At 9.15am on Wednesday 7th March 2018, I turned up to a UCL meeting to find that not only was I encouraged to write on the tablecloths, but there was a little bowl of sweets for everyone to dip into – this was my kind of meeting! This meeting was an ‘Expert Advice & Ideas’ session set up to discuss the to-be-launched UCL Centre for Co-production in Health Research. I’ll admit, I was a bit confused going in – we were sent a snazzy handout about the kinds of things we were going to be discussing at the meeting, but I didn’t really understand what the to-be-launched Centre was going to be or do. However, when the session started, it soon transpired that this was the whole point – funding had been given to set up the Centre, but what the Centre was and did was totally up for grabs and was going to be decided upon through a process of genuine and meaningful co-production. 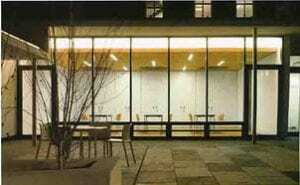 My interest in co-production stems from my academic work at the CRAE. Research from our Centre shows that many autistic people are dissatisfied with their experiences of research and that the meaningful inclusion of autistic people in the research process (at all key stages) is relatively rare. As such, the autism research taking place doesn’t map onto what autistic people want from research and they often feel disengaged from the research process. This isn’t good research practice and it has to change. What was so refreshing about the ‘Expert Ideas and Advice’ session was that there was strong agreement from all involved that traditional research practices could and would change – and that the new Centre would be an integral part of driving this change at UCL and beyond. For me, it was critically important that the process of developing the Centre needed to be a shining example of good practice in co-production – after all, how could we show/tell people how to do co-produced research properly, if we weren’t doing it properly ourselves?! There were several aspects of the meeting that I thought were excellent in this regard. For example, I was introduced as Laura. I wasn’t given the opportunity to spout off my job titles and academic credentials, nor would I have wanted to – everyone was an equal and lived experience was valued just as much as academic experience. Second, we weren’t in a stuffy academic building that could have made people (especially those who weren’t academics) uncomfortable. Instead we were in a bright and airy community centre space. The whole session was really relaxed and informal, and I think that helped in ensuring people could speak freely and openly, sharing their ideas and experiences. Third, I didn’t get the sense that we were there to tick boxes – the coordinators of the project genuinely have no idea what this Centre will be like yet and the views of the people in the room were essential in helping them shape the Centre – they listened to, and respected, everyone’s views. The event finished just before lunchtime, and I was also invited to an afternoon meeting of the ‘Allies Group’ linked to the project. Again, I wasn’t too sure what this would entail but it ended up being the polar opposite of the morning session. I arrived in a very fancy academic building that even I (who has been in academia for over 15 years) was somewhat daunted by! I was in a boardroom with some very, very senior people (all UCL staff) and I was, by far, the most junior academic there. However, I think it’s good to have a range of voices involved in such initiatives and – importantly – I was encouraged to express my views and opinions. One of the discussion points that came up – which I think is something we all need to reflect on carefully – is how the Allies Group links with the ‘Expert Advice and Ideas’ sessions. One of the key messages from the morning session was that the success of any co-produced project hinges on the power balance between the researchers and communities, highlighting the need for this to be shared equitably. My concern – and I think that of others in the Allies Group – was that we didn’t want the Expert Ideas and Advice sessions to be tokenistic tick box exercises and for all the major decisions to be made by the Allies Group without community input at this top level. It transpired that it was difficult to decide who to invite to the Allies Group, especially as a lot of it involves discussions about issues specific to UCL. However, it’s probably something that should be addressed soon and I think it’s encouraging that others in the room were conscious of this issue too. My highlight, however, was that It was amazing to see such buy-in to the Centre at a senior level. The Chair of the Allies Group was Professor Graham Hart, Dean of the UCL Faculty of Population Health Sciences, and he – and others – seemed committed to making the Centre a success. I certainly think it will be. To find out more about the Centre please contact Niccola Hutchinson-Pascal. On 4 July 2018 the Centre launched a series of Pilots to test this way of working on research. You can read more about the Pilots in another blog entry – The Co-pro Pilots are here! If you haven’t already come across it the National Institute for Health Research (NIHR) and INVOLVE recently launched Guidance on Co-producing Research, it is well worth a read! The UCL Centre for Co-production in Health Research is recruiting! Our Co-production Journey: From Sandpits to Bird Boxes! 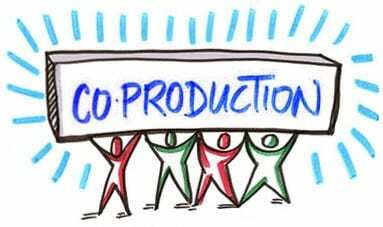 Why I grappled with the word co-production and how I have come to love it!